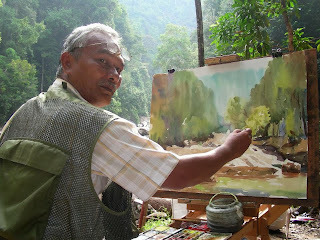 Of course, some beginning artists may disagree and I am not saying that this is the only way. 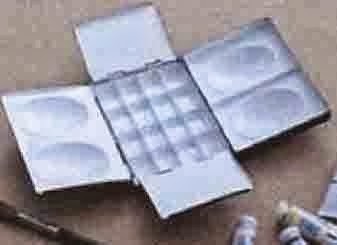 For me, it is the best. 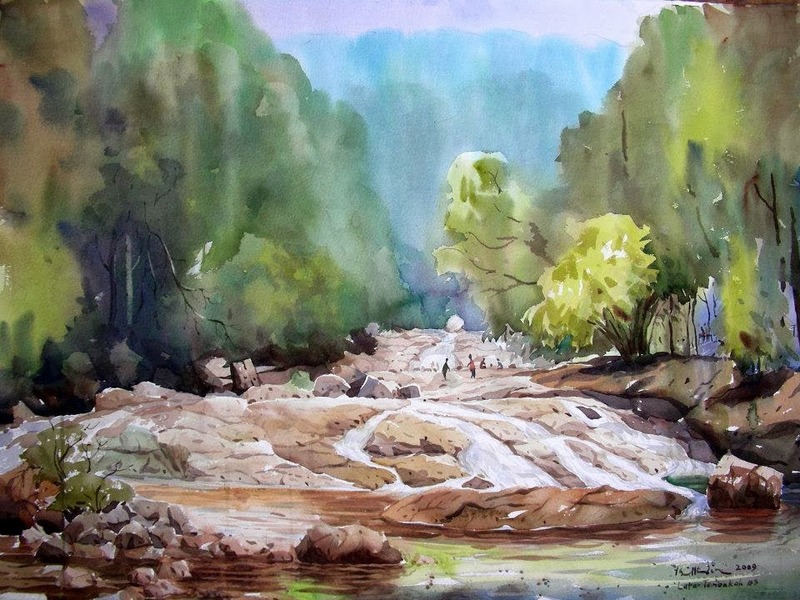 This is because sometimes you may not have the time to do a full painting and sketching do help a lot in keeping you in touch with your drawing and painting skills. 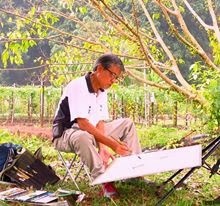 Sketching allow you to exercise and hone your drawing skills. With good drawing skills, you paint better too. 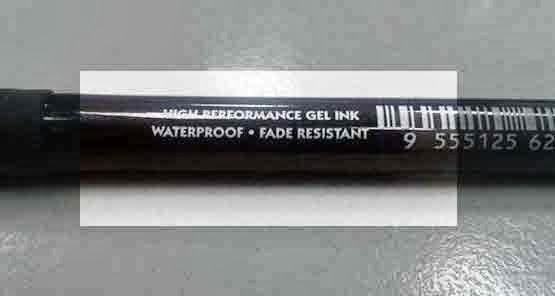 This pen costs only RM1.90. 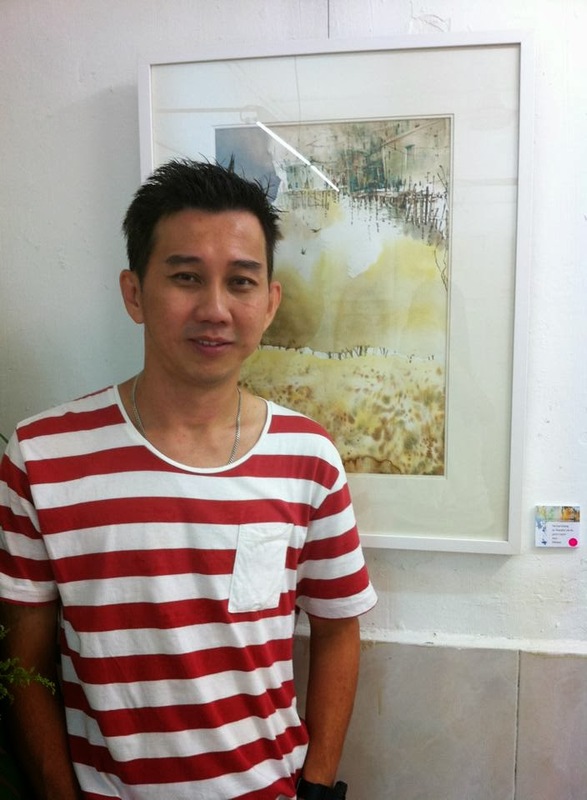 Born in 1974, this Johor Baru-based artist is a graduate of the Central Academy of Art. 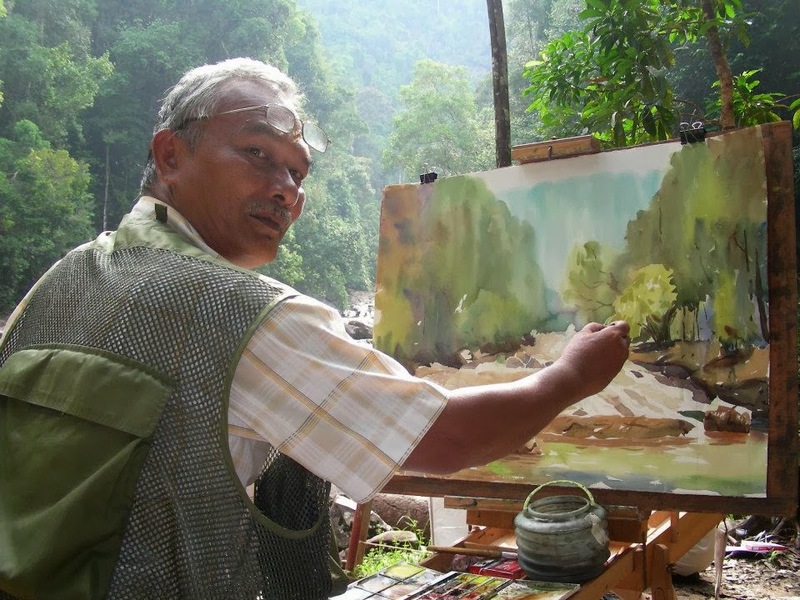 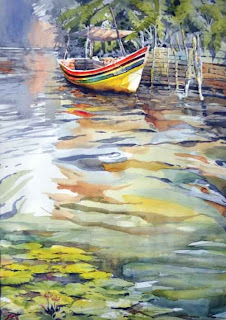 The artist held his solo in 2006, entitled Colours of Life. 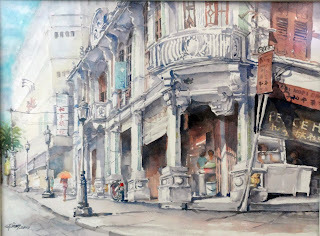 Painting semi-abstractscenes, Tan has participated in many group shows since his graduation, in and out of the country. 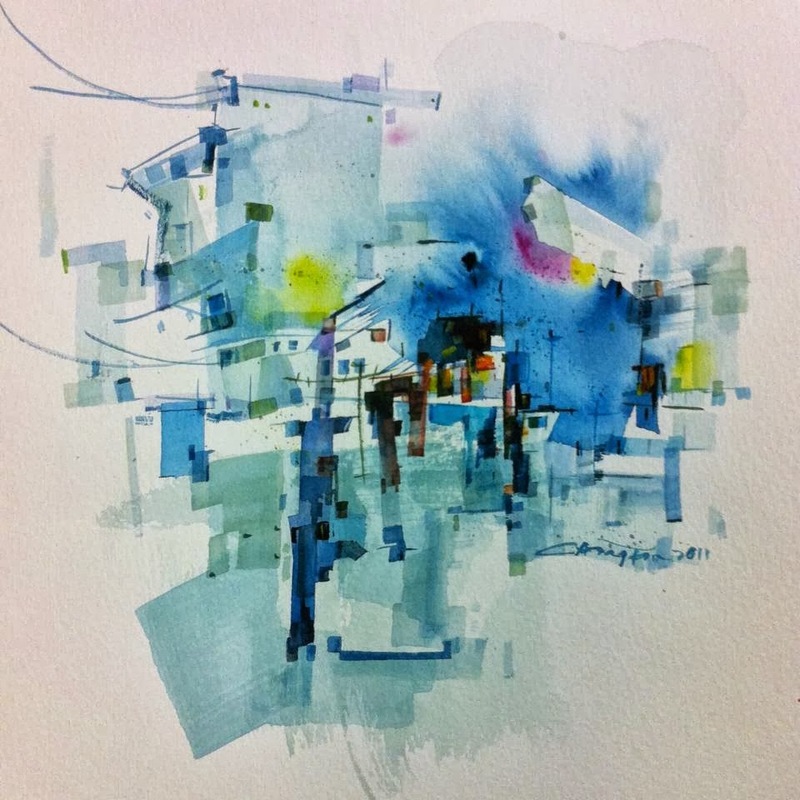 This year, his work ‘Blue Melody’ has been accepted in 2013 ISEA/NWS Wales International Exchange Exhibition. 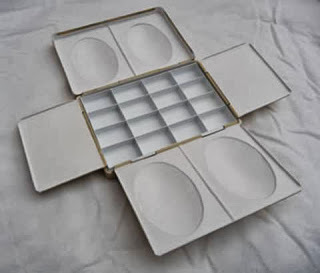 He has also won various awards from competitions from US to Europe and China. 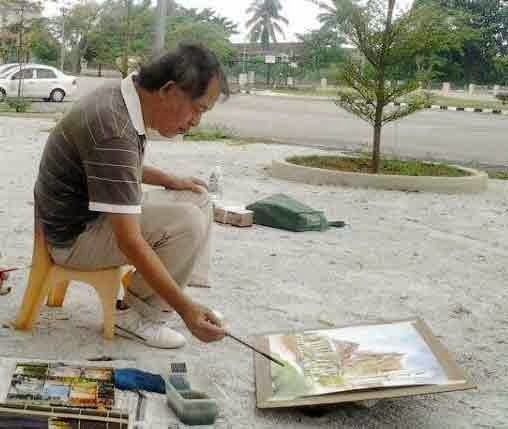 Khoo Cheang Jin hard at work and enjoying it. 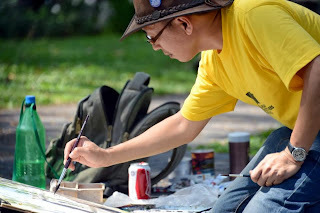 The 'cowboy' hat keeps the sun out. 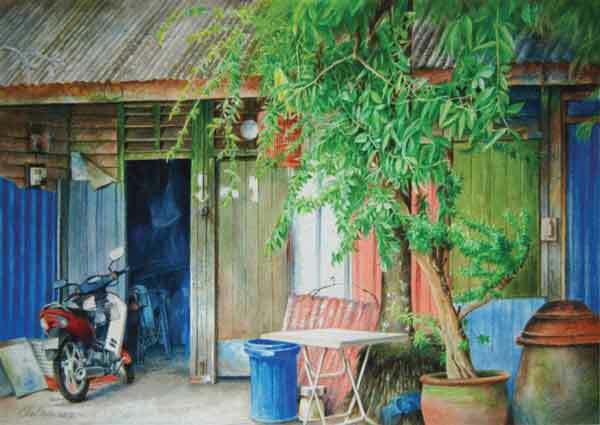 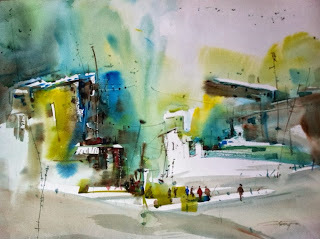 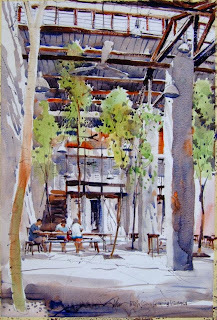 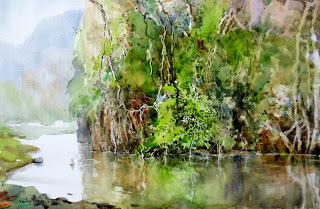 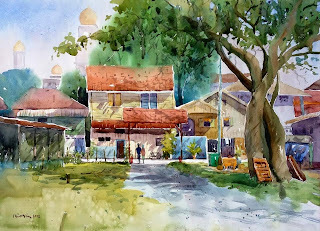 Born on April 28, 1963, Khoo Cheang Jin is the current president of the Penang Water Colour Society. 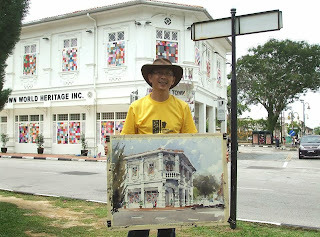 A familiar face in the streets on the island, Khoo, usually seen with his trademark 'cowboy' hat, can be spotted during the weekends painting the buildings or street scenes with his fellow painters and sketchers. 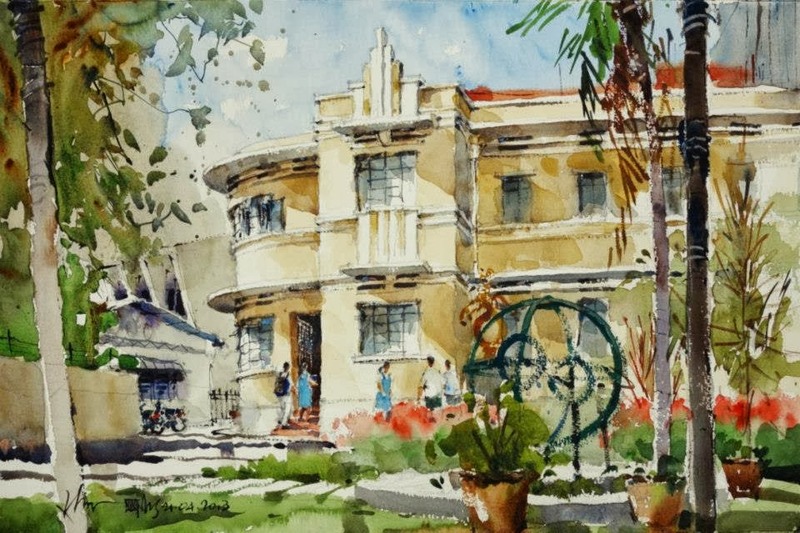 This former Chung Ling High School boy and an architect by profession has exhibited extensively locally and abroad, particularly in Singapore, and has a wide following. 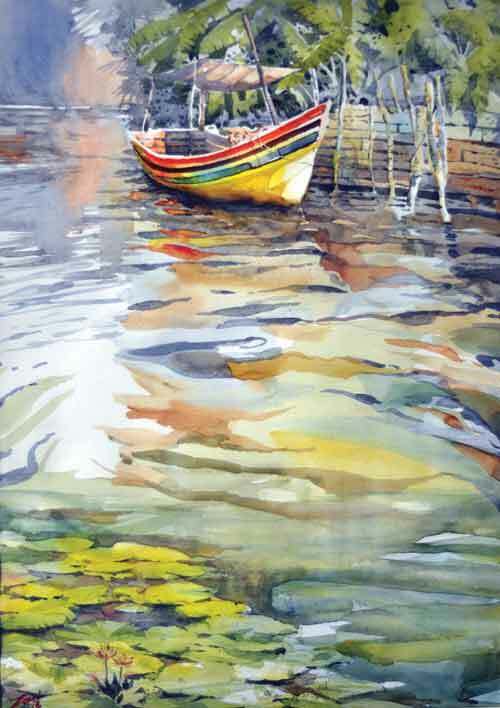 He is also a member of various arts organisations locally and overseas, and his works has won many awards. 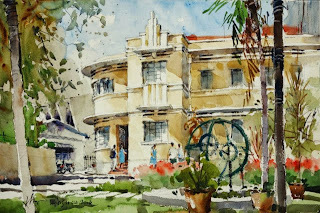 Chung Ling High, Cheang Jin's alma mater. 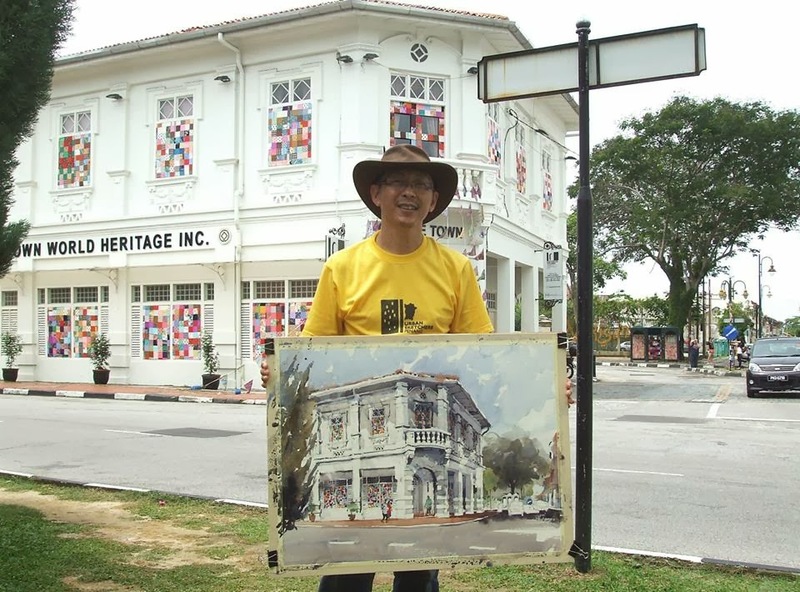 Cheang Jin with a completed painting of the building in the background. 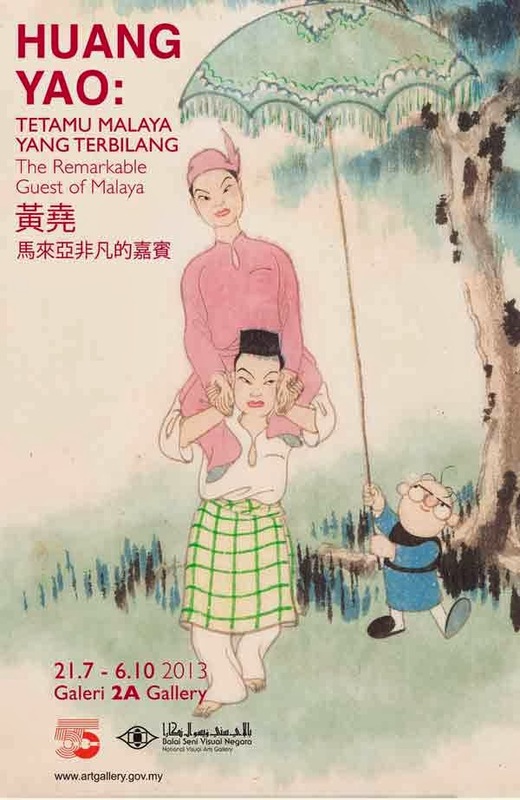 The show will be on till end of September. 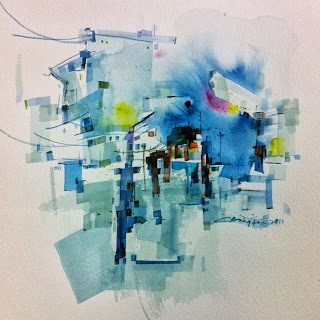 It has been a while since I updated this blog. 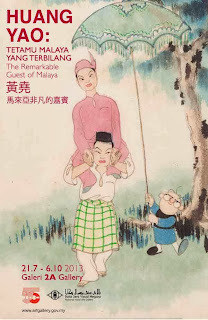 If you have been following my blog, please accept my apologies. I had been delayed by work, and some personal commitments. 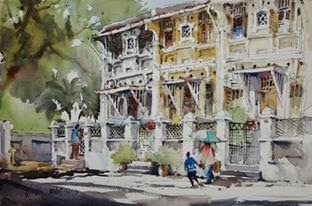 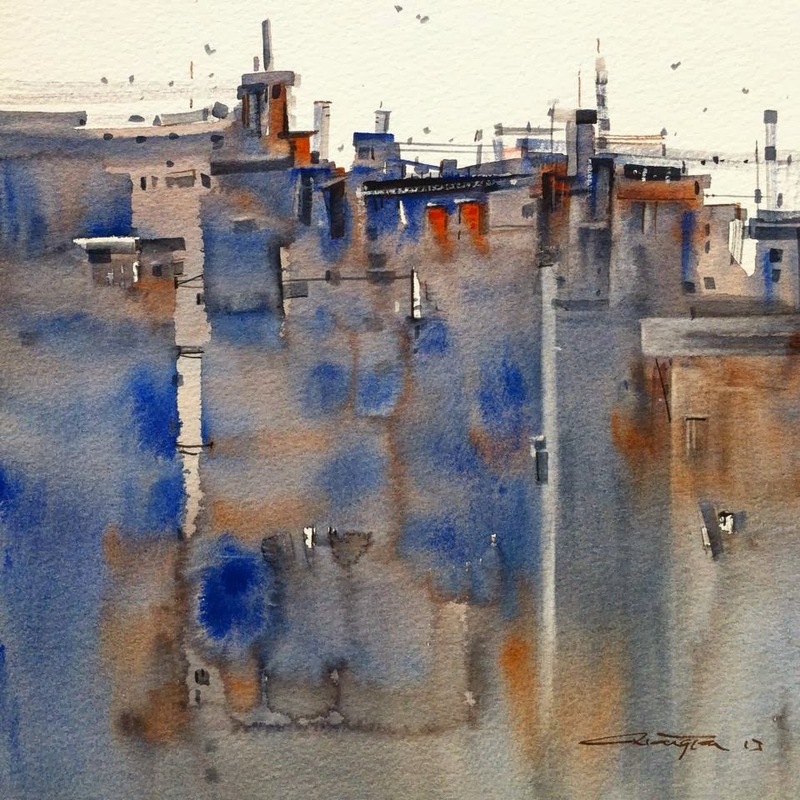 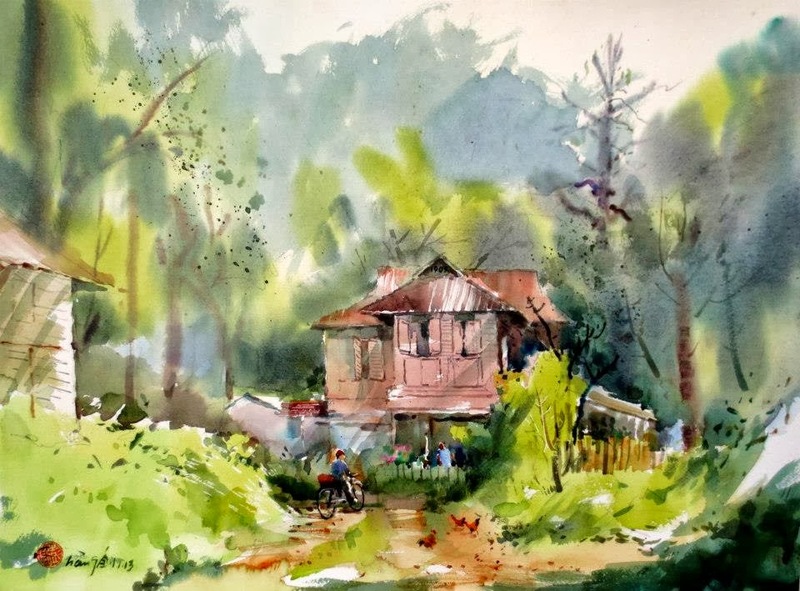 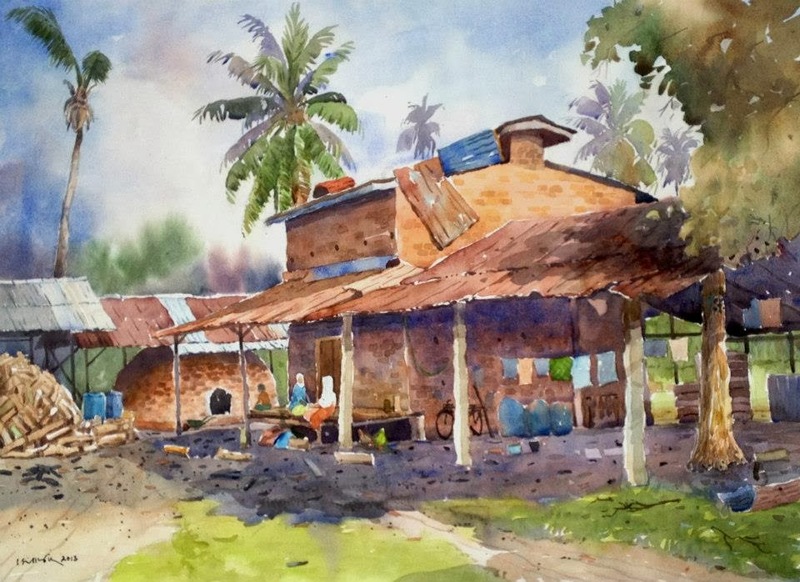 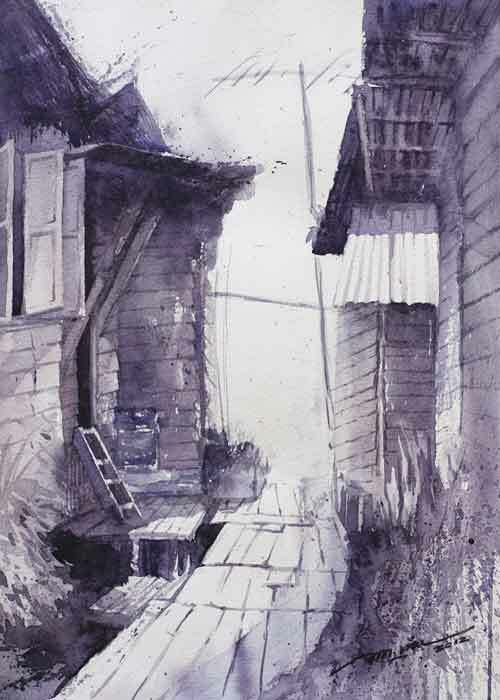 I am returning to put more posts about Malaysian watercolours here and I hope I can be of service to art lovers, especially Malaysian watercolour art. Let me start by alerting you to an art exhibition at the University Malaya Art Gallery this month where a group of amateur artists known as the KL Sketchers are holding their inaugural show. 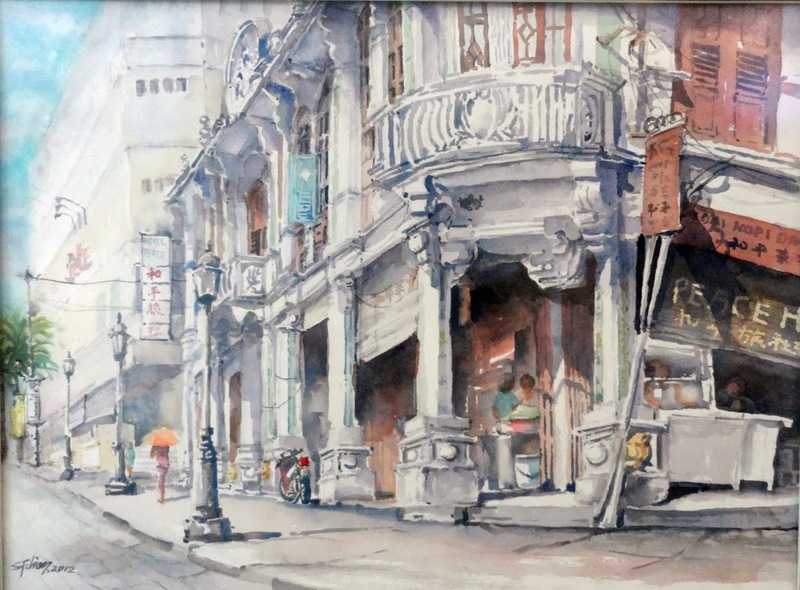 According to news, various works of various sizes by 13 amateur artists from all works of life and ages are on display. Two pieces by YuZhen, 17, the youngest partcipant.